We call it Oasis for good reason: from lovely gardens and a gleaming pool outdoors to modern, breezy furnishings and a bold yet exquisite aesthetic indoors, this home is truly a jewel in the desert. Welcoming, private spaces inspire a deep sense of calm, while the common areas invite everyone to mingle and lounge. 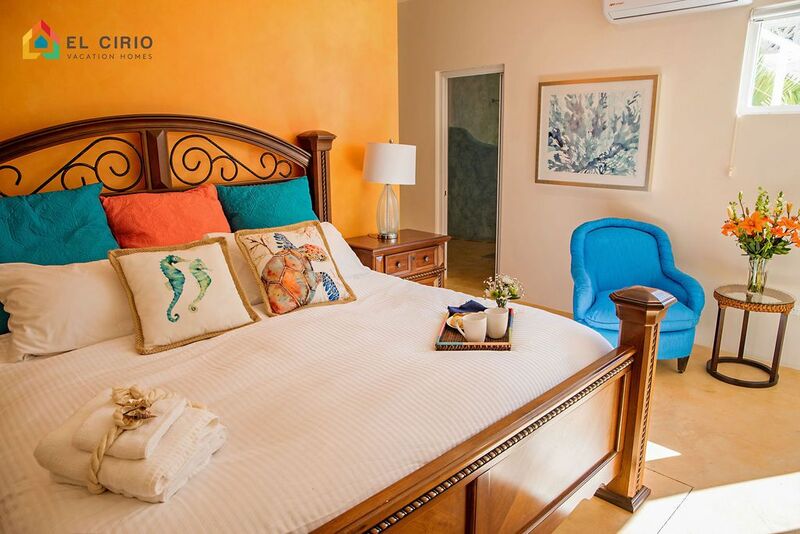 Just don’t forget to venture out: Casa Oasis’ ideal location one block from the Malecon promenade makes it easy to explore the city. We know you’ll unwind in this precious oasis. Removed from the street by the length of a spacious, 3-car garage, the house sports a big patio surrounded by (and connected with) the living room, dining room, and master bedroom. The patio sports a pool, bbq grill, an outdoor dining room, and a hammock and rocking chairs. There is also a sun area on a raised dais, that overlooks the patio area. Stocked with plush cushions, it is an excellent place to sunbathe sipping a cool drink or take an afternoon siesta. Sheets, pillows and blanket provided for all beds One extra set of linens is provided as well. Four bath, hand and face towels, are provided for every room. A full spice rack is offered upon request. Ask us for tips for getting groceries and fresh seafood. Our stay couldn't have been any better. Attention to detail from booking through checkout. Ana Carolina was a super hostess. Grateful for her recco for masa panaderia. The only recommendation I would make is an upgrade to a smart tv. Otherwise, everything was great. Location is great for walking and exploring.